personifies class, luxury and sophistication, with designs that are simple yet eye-catching and technology that makes these watches flawless. No wonder, Rolex has emerged as one of the top brands in luxury wristwatches and is loved by thousands of avid watch lovers across the globe. But there is a lot about the brand that even the most knowledgeable collectors may not know. Let us list some surprising Rolex facts that every watch lover must absolutely know. A majority of people associate Rolex with Switzerland but the actual birthplace of the brand is London. More surprising is the fact that the company was not a watchmaking business to begin with but rather started as a watch assembling business. Hans Wilsdorf started it in 1905 along with his brother-in-law Alfred Davis. They imported movements from Switzerland, assembled them in English watch bodies and supplied them to the local jewelers. In 1908, they decided that they would take up watch manufacturing as their business. Rolex’s headquarters were moved to Geneva in 1919 after World War I. 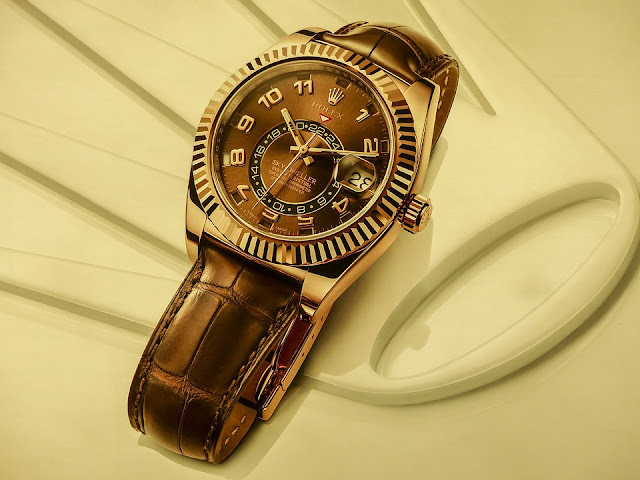 Another Rolex fact that you will probably find surprising is that the luxury brand is actually a charity. The Hans Wilsdorf Foundation was established in 1944 after the death of Wilsdorf’s wife. Following this, the entire shares of the company were transferred to the foundation and it was also given instructions to handle the finances. Since donations of private charities need not be disclosed according to the Swiss law, there is no information about charitable activities of the company. Mariana Trench in 1960 with Rolex. The most wonderful thing is that the watches did not lose a second despite being subjected to the toughest climate and pressure conditions. Additionally, the brand has been first in many respects, such as first chronometer certification, first waterproof watch, first watch with automatically changing date and day, and more. This is a brand that is very quality conscious, not only about the technology that it puts into each piece it creates but also about the material it uses. The company uses expensive, high-quality 904L metal which has higher levels of nickel and chromium. Not only does this metal excel in quality but also requires more advanced machinery to process it. That is the reason that Rolex has made massive investment in upgrading its machinery. The company also owns foundries where it makes platinum and gold that it uses in watch manufacturing. Right from its inception, the brand has been known for bringing absolute precision to wristwatch manufacturing and it continues to do so even more than a century later. Even today, the key tasks are performed by humans though machinery is employed in the ancillary ones. The brand values precision in every piece as Wilsdorf visualized it from the beginning and it still remains the motto of Rolex. 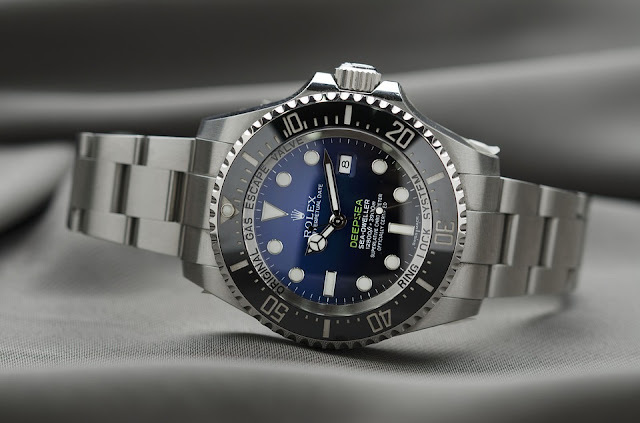 https://www.frostnyc.com/collections/rolex to ensure that you pick only an original piece. laboratories with the most experienced and qualified scientists working in them. The objective of these labs is to conduct extensive research for improving the existing products and developing new manufacturing techniques. name originates from a French term horlogerie exquise, which means exquisite clockwork. replicated the sound of the watch being wound. You will be surprised to know that the brand continues to display the number four as “IIII” rather than “IV” on its dial. This representation is referred to as the Watchmaker’s four and its purpose is to give the watch dial an aesthetic value as well as visual symmetry that greatly matters for the design. No wonder watch collectors want to own a piece! Every watch has to undergo stringent pressure testing procedures to ensure that it adheres to the highest standards of quality and precision. The test is done by placing the watch in an air pressure chamber to find out if there is a leak in its case. A medical-grade optical sensor is used to identify water infiltration or condensation if the watch is below the quality mark. brand or go out to shop, you will probably recall these facts and see the watches in a different light. Here we list some surprising Rolex facts that every watch lover must absolutely know.